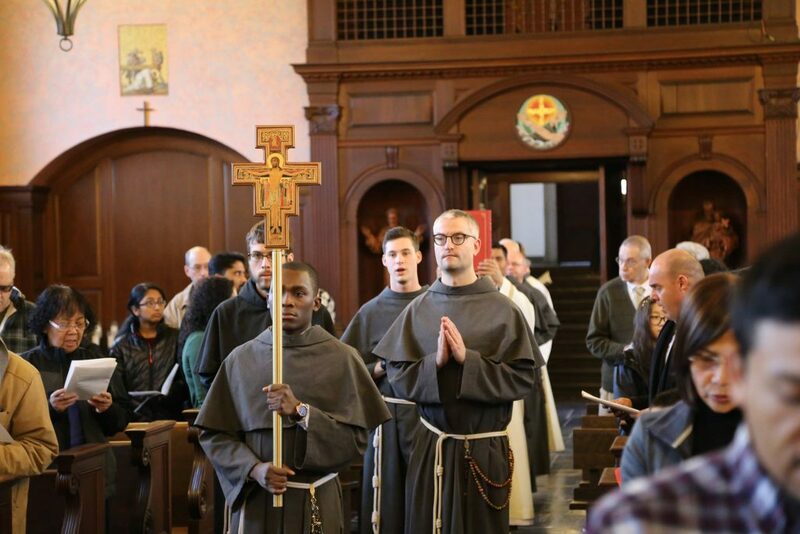 The Franciscans Friars are a community of brothers founded by Saint Francis of Assisi. Our life in community includes daily prayer, shared meals and the day-to-day sharing of brotherhood. Our experience of community then inspires us to bring that same sense of community, mutual care for one another to our ministry. There is no one single thing that friars do. It’s more WHO we are; brothers to everyone and to creation. We do this by being parish priests, counselors, educators, campus ministers, social workers, nurses and so much more. If you can think of something that’s of service to others; then you can probably do it as a friar. We are always looking for young-adults who want to live the Gospel in a more radical way through a life of community and in service to others. Visit our websites for information on full-time ministry as a Franciscan Friar or a Franciscan Sister. The Diocese of Syracuse is home to Assumption Church, the friary and our ministries and we are proud to collaborate with the local bishop, the priests, deacons, religious and lay ministers of the Diocese. Visit the Diocese’ vocation page for more information on Diocesan Vocations.